10 WANNABE cars; Elantracan to Scorjero! 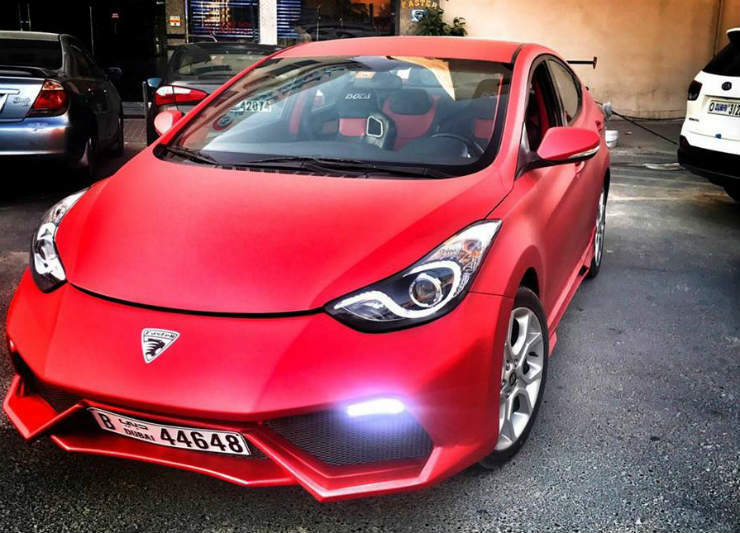 What you see here is an Elantra, which has been modified to look like a Lamborghini Huracan. It so happens, that the front end of the vehicle can be easily converted to look like a Lamborghini. It even has fake badges and a massive rear spoiler. This vehicle can be had for rent in Dubai. While it does look weird, the job which has been done is phenomenal, we must say. The interiors have also been done up with custom bucket seats, to give it a sports car feel. This one started off life as a Scorpio, however it looks like the owner had a thing for the Toyota Land Cruiser Prado. 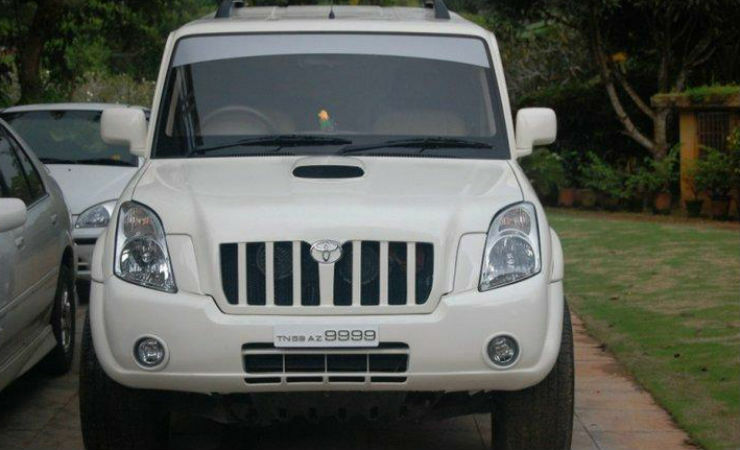 So he planted the front end of the LC on the Scorpio, which means the Scorpio now looks like a Land Cruiser up front. While we aren’t a fan of this coversion, it has been done well. The vehicle even has a new hood scoop – not that the Land Cruiser gets one – to make it look more funky. Here is another case of a Scorpio converted into a Pajero. 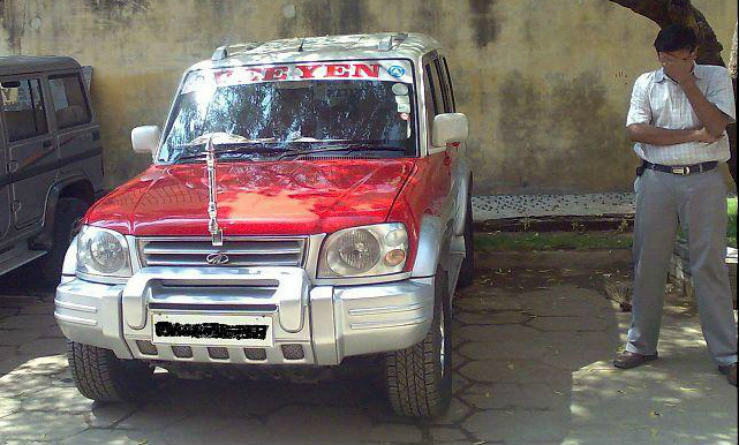 This owner has opted to get the dual tone paint theme, something which the Pajero has always had. Other changes include a similar front bumper and the flared fenders. This owner here desired to own a BMW, however he couldn’t get a hold of one. 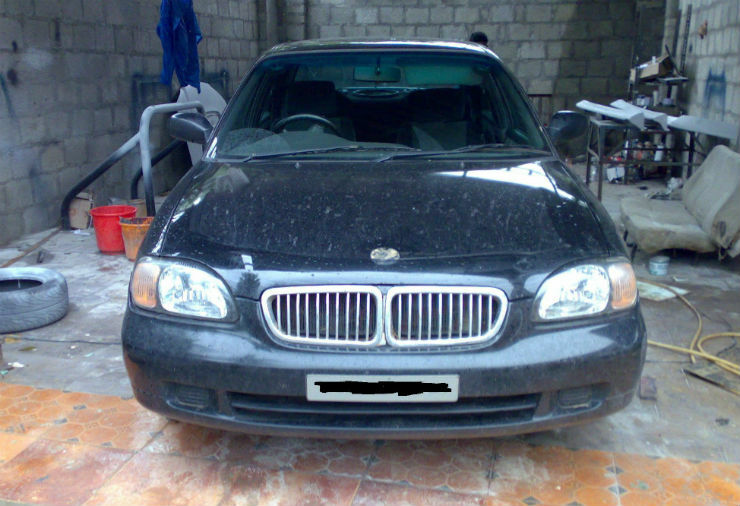 Instead he got himself a Baleno, which he has now coverted to look like a BMW. The car now has the kidney grille along with the BMW badging at the back too. 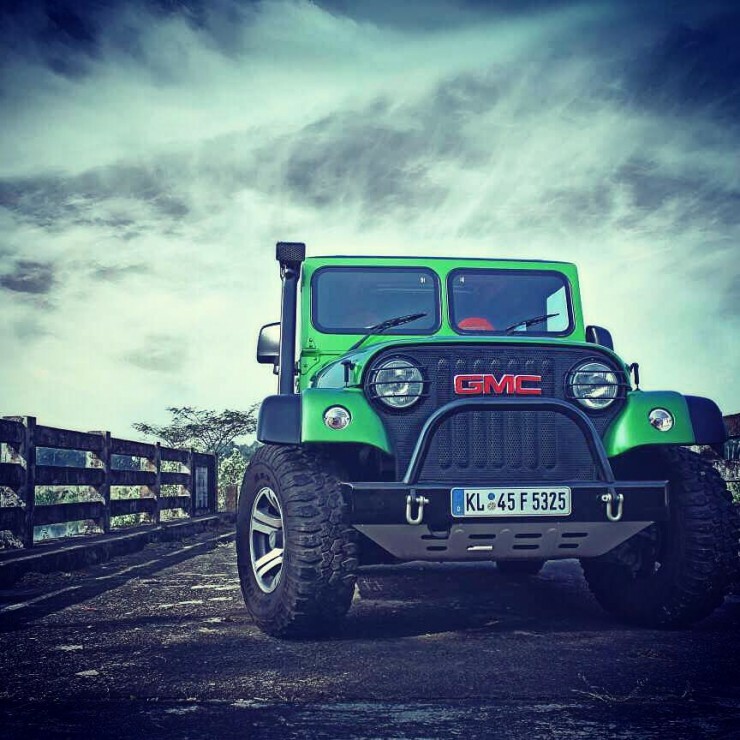 This vehicle started off life as a Mahindra MM540. But the Mahindra logo has been replaced by that of GMC (SUV company). Other than that, there is a nice custom green shade which will make the SUV blend into the scenery when off-road. There is a custom hardtop with a sunroof as well. While the mod job is great, we think this would have looked better without the GMC logo. Continued below: 10 WANNABE cars; Elantracan to Scorjero! « Continued: 10 WANNABE cars; Elantracan to Scorjero!